Can we embrace what God has given us? It is the rainy season. This morning welcomes me without electric power or internet but the downpour of rain. It’s not as hot here in Africa by the equator as it is at home in Texas during the summer. The ruts in the road flow with streams several times a day without warning. Walking in the mud requires good balance and shoes that can be scrubbed clean after turning auburn from an oozing, sucking trek. Mary Beth with the kids before devotion on the first day. My answer is, “it’s always better to want what God gave us”. Every person alive has to face seasons of discontentment with life and find a way towards contentment. Discontentment breeds ingratitude rapidly and soon gives way to countless sins leaving us with a pile of regret. It’s not worth it. I’d rather find a quick path to wanting what I have than complaining about what I don’t have. I know so many people struggling with physical pain, financial strain, relationship tension, work pressures, life threatening illnesses, loss, grief, and stress. We all have some kind of rain in our personal life. My husband loves to say to the boys, “there will always be someone smarter, richer, more successful, faster, better looking and taller than you.” Be where you are, who you are and what you are. And be thankful. It is so good for my soul to be here in Uganda and live in a humble happy way. I crave the simple life offered here. My heart falls towards the barefoot children who find water dripping from the roof to be the best water park God ever made and I wonder where does my joy go in the rain? Instinctively women set out every bucket and basin they can find to collect the cool clean rainwater, freely given from God. They see the rain as a free pass from walking to the water source and hauling back the heavy load. They rejoice to see their plants soaked knowing the food will be abundant thanks to the rain. The water from heaven is pure, it doesn’t have to be filtered or boiled, and this saves precious fuel. Here, a rain shower is a great gift. My coffee maker won’t make me coffee without power, and thanks to the rain electricity is out. But I’m prepared. I know the gas strove always works so I boiled water and used a café press to make my coffee. I didn’t have one blip of complaint. I’m a little disappointed the internet is unavailable to post this blog but I know it will come back, it always does. (if you are reading this it obviously did) Walking to the house will be slippery so we will go slow. My umbrella works and I have a raincoat. I even have rubber boots if I so wish to be that prepared to keep my feet clean. Or I can wear flipflops and wash off my feet in the basin when I arrive. If I had no rain repellent devices there’s always a towel waiting for me when I arrive. I’ve chosen not to whine about the rain. Our soured, aged mindset directs us to find reason to grumble with the rain. Kira scrambles into my bed at night in fear of the storm. The mosquitoes squeal in our ears, breed in the puddles while we sleep and spread malaria while we play. It’s a nuisance to be out taking care of the business of life when it’s raining. Weren’t we given the intelligence to make a conscious choice given an unfavorable circumstance? I can play in the rain and marvel at God, or I can grumble and complain for the inconvenience. We can take our toil and embrace it or we can whine, look around and see who has a better life to covet. The downpour is only for a season. This too will pass. Do we want to wish away the opportunity to struggle and learn a hard lesson. Is easy really that much better for our soul? As much as it is possible I try to play in the rainy seasons of my life. I’m not going to whine when God offers a gift to grow. I can choose not to covet that person’s umbrella while I blink water out of my eyes. “Kira?”…”yes?”….”what’s the best thing about the rain?”….”It makes the flowers grow.” Be a happy chocolate flower with curly petals that can be braided and strung with colorful beads. And remember to give God thanks for it. (Some days I ponder writing children’s stories about wanting what others want. I only hope if we catch this disease and cure it when they are young there won’t be as much envy practiced among adults.) I just want to make this world a better place for us all to live. You have a way with words. Thank you for these ways to look at life with new eyes. I will read this post again and try to embrace the idea of being thankful for my rain. Previous Previous post: Welcome Home to Uganda Mama Tonya! 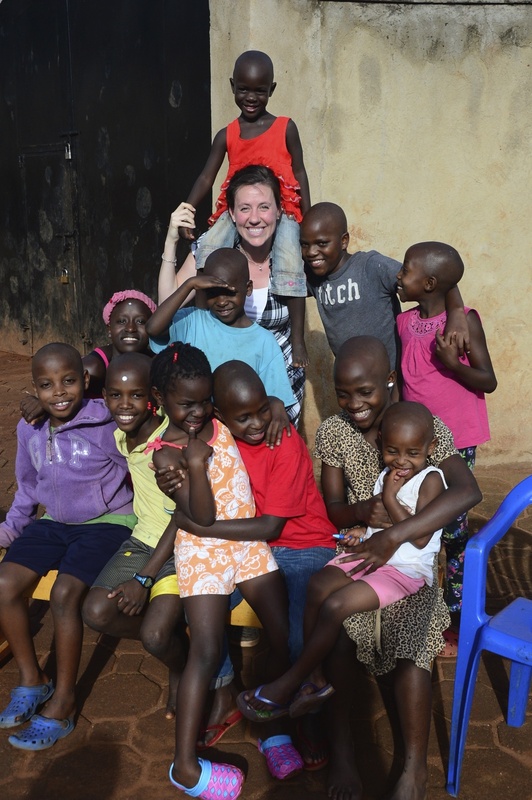 Next Next post: How is Mary Beth doing here in Uganda?